Earlier this week Yuri!!! On Ice, the hit anime series of last year – if both the Crunchyroll Anime Awards and the Tokyo Anime Award Festival are to be believed – made a slight return. A new video (see below) promoting a forthcoming DVD and Blu-ray release in Japan was released featuring animation of Yuri Plisetsky and Otabek Altin performing a routine. It was intended to be broadcast in the show itself but never made it to air and is now being made available as an extra. The music the characters are skating to is called “Welcome to the Madness” and is composed by Tarou Umebayashi, who was one of the main composers of the soundtrack along with Taku Matsushiba. Given this new footage it seems timely to look at the soundtrack of the anime in general (and when I say “timely”, I mean I was originally going to write about this when the anime went out, but I got distracted by other things, and thanks to this new clip I now have a decent opportunity to finally get to work on it). Before we do, however, it is worth making a note that for once, the majority of the music for an anime has been made available in the west. It has always been an annoyance to me that so much Japanese music is not made available to legally purchase (even X Japan, the country’s biggest rock band, still haven’t released three of their five studio albums on the UK iTunes). But with Yuri!!! 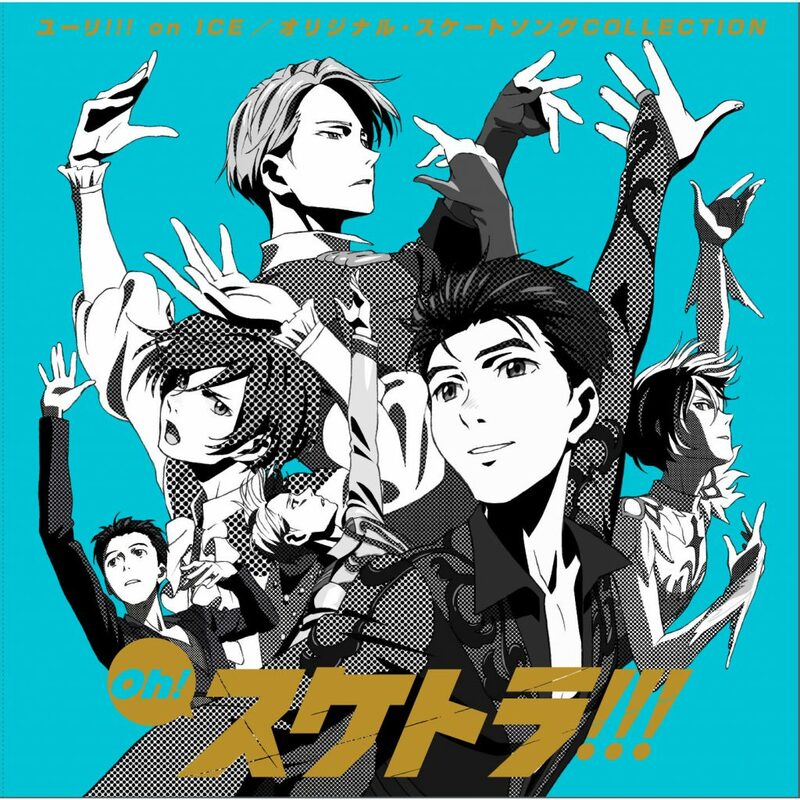 On Ice the entire soundtrack is available as an album, and the opening and closing themes are available as singles, released separately by their respective artists. It should be mentioned that not all of the music is available yet, because there are some background pieces not released, but most of the music is there. Let’s start then with those opening and closing themes. 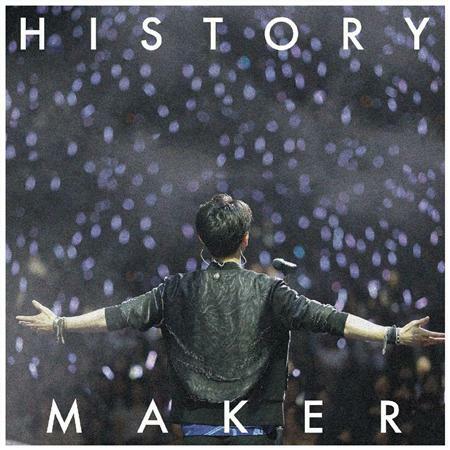 The opening, “History Maker” by Dean Fujioka, certainly seems to encapsulate the series as a whole. It stands out from many other anime themes for several reasons. For starters there is the introduction played on the xylophone, which makes for an unusual choice of instrument and thus also makes the tune distinctive. Then you have the fact that the song is sung in English rather than Japanese, which again seems to be making a statement. It feels as if the anime is deliberately trying to reach outside Japan and gain an international audience by using English to attract foreign viewers. On top of this you have the unusual time signature for an OP which uses a 6/8 time signature (and I have been told by one of my editors, Sarah, who knows much more about these sort of things than I do), thus featuring three beats in a bar rather than the standard four, making it arguably a fast waltz and invoking things like ballet. This is fitting for a show that is about a form of dance, but on ice rather than a normal dance floor. Also, because you need two people to dance to a waltz, it makes for a possible connection between two people like Yuri Katsuki and Victor Nikiforov – although, as the opening title sequence also features Yurio, it does complicate things a bit. Lastly you get to the sentiment of the song: “We were born to make history.” When you first listen, it sounds rather rousing, but as you watch the series progress, especially when the relationship between Yuri K. and Victor becomes ever more romantic, you then realise that the series itself is making history in its own way, by having what is almost universally considered to be a gay couple in a sport anime. The song suits the tone of the series, because it is jolly, stirring and moving. 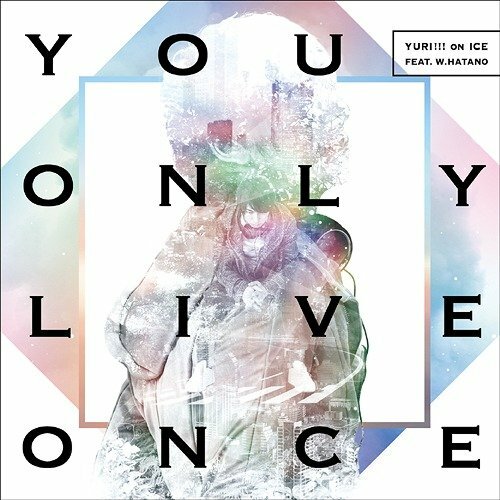 The end theme, “You Only Live Once”, is performed by Wataru Hatano, who is one of the voice actors in the show, playing the role of Georgi Popovich, the Russian skater suffering from heartbreak after his girlfriend has left him. The song is sung in a mixture of English and Japanese, and indeed is the only track in this whole article that features some Japanese dialogue. The main chorus line is always sung in English, and the verses are mixed up in both languages. Personally I prefer the opening over the ending if we are just going on the songs themselves, but with the end animation the song seems to work better. The majority of the music available comes from the album Oh! SkaTra!!! Yuri!!! On Ice Original Skating Collection, which contains the pieces that are used in the skating routines. When it was released it topped the Oricon Digital Album Charts, and came third in the CD charts too. It begins with “Aria (Stammi Vicino, Non Te Ne Andare)”, or in English, “Aria: Stay Close to Me”, composed by Matsushiba. It is the classical track performed by Victor which Yuri K. later copies, which in turn is filmed and sparks the whole sequence of Victor coming to Japan to coach Yuri K. This track illustrates again a point made by the opening theme: the international nature of the show, because it is sung in Italian. Looking at the translation you see that it talks about two people who, “are blending together”. Then we move onto the most famous of the tracks: “In Regards to Love: Eros”, composed by Matsushiba. This is the Spanish flamenco number that Yuri K. performs in all of his routines. Having watched the anime, in my head all I can think of now is Yuri skating. The other notable feature of it is that in a way it pans to the international aspect again, not only because it is Spanish music, but because there are no lyrics at all, so nothing hampers your enjoyment, regardless of where you come from. The same is true of the next piece, which is also the title track: “Yuri On ICE”, which Yuri K. performs in his free skate routine. In the anime, this is the track that Yuri gets his old friend Ketty Abelashvilli to compose for him, but in reality it is Umebayashi who composed it. Then we move on to Yurio. First there is “In Regards to Love: Agape” by Umebayashi, which sounds more melancholy than the “In Regards to Love” track Yuri K. dances to, and arguably shows Yurio’s frustration with Victor. If Yuri K.’s pieces are international because there are no lyrics, Yurio’s track is is international because it is sung in a language that has no native speakers at all: Latin, and thus everyone is sharing in collective ignorance. His free skate track however, “Piano Concerto in B Minor: Allegro Appassionato” by Matsushiba, is a classical piece with no lyrics, performed by string orchestra and piano. After this, we then get onto the other skaters in the show. It is also where we see a much wider range of musical styles. We start with young Kenjirou Minami and his jazz instrumental “Minami’s Boogie” used in the qualifying rounds, and then we move onto the Cup of China. We have Yuri K.’s old friend from Thailand, Phichit Chulanont, whose two pieces of music, “Shall We Skate?” and “Terra Incognita”, are tracks from a soundtrack of a fictional film, one in English and the other in an unspecified language. Chinese skater Guang Hong Ji performs to instrumentals: string track “La Parfum de Fleurs”, and then “The Inferno”, from a fictional action movie soundtrack. Then heartbroken Russian Georgi performs to the English song “A Tales of Sleeping Prince”, a sad track sung by an R&B singer; followed by American Leo de la Iglesia with “Still Alive”, which features a bit of rap in it. His song is also in English, but as he is American it does feel less significant. Following on from this, we get to the final of the Grand Prix. The first track is “Intoxicated” sung in English, performed by the Swiss skater Christophe Giacometti, followed by Christophe’s free skate classical instrumental piece “Rapsodie Espagnole”. Next is the Korean skater Seung-gil Lee, beginning with “Almavivo”, a Spanish number with mambo elements; followed by Czech skater Emil Nekola and “Anastasis”, an electronic piece from a fictional sci-fi film; then the Italian Michele Crispino and “L’homme Armé” a fanfare from another fictional soundtrack, and then Crispino’s free skate track “Serenade for Two”, a ballad sung in English. After this is the egotistical Canadian Jean-Jacques Leroy and his own “Theme for King JJ”, which you cannot help but find infuriatingly catchy; followed by his slow free skate piece “Partizan Hope”. Then comes Otabek, starting with “Samarkand Overture”, an instrumental piece that pays tribute to a city in Uzbekistan, a country bordering his homeland of Kazakhstan; and then his free skate piece, a rearranged version of the second movement of Ludwig van Beethoven’s 9th symphony, with an added chorus singing in German. Last are the two pieces for the final exhibition skate at the end of the series, the already mentioned “Welcome to the Madness”, and the finale to the album, “Duet: Stay Close to Me”, a version of Victor’s original theme, but with two singers now, and skated to by both Victor and Yuri K. Thus the album ends with a piece of music that bring the central couple together at last. While I did say that the album has an international bent to it, the most commonly performed language across the tracks is still English. No surprise as English is the dominant language across the world, but still it shows that the anime is trying to reach out. Then it is mixed with Italian, German and Latin, as well as plenty of instrumental tracks. We also see a wide variety of genres of music played including classical, modern orchestral music, Latin American pieces, jazz, rock and pop. Listening to the album, and appreciating it alongside the anime, the main theme that seems to run through the entire thing is diversity. You have not just the diversity of musical styles and languages, but you then have the diversity of the cast. It is a series set across different countries and featuring competitors from across the globe. Then there is the already heavily discussed diversity in terms of sexuality. Because of this, the joy with a soundtrack like this is that you will be able to find at least one track on it that you really like, one you will be able to enjoy again and again. For me, my personal favourite tracks would be “In Regards to Love: Eros” for its role in the story; “Minami’s Boogie” for its swinging, fun sound; “A Tales of Sleeping Prince” for being the most emotional track; “Theme for King JJ” for being a guilty pleasure (the character is annoying but the tune is catchy); and the final “Duet: Stay Close to Me”, for the way it unites Yuri K. and Victor. All of the tracks are available to download from iTunes. Note: This article has been corrected as of 26th June 2017. We originally said the time signature for “History Maker” was 3/4 time rather than 6/8. We now know the correct time signature and have made the correction. Miu Suzaki and Ryuichi Kihara performed to music from the figure skating anime.